New York is expected to be completely screwed over by climate change in the coming decades, and Mayor Bill de Blasio took a step this week to hold some of the world’s largest fossil fuel companies accountable. In a press conference on Wednesday, he announced that the city has filed a lawsuit against five of the world’s largest fossil fuel companies and is working to divest the city’s pension funds from fossil fuel interests. The move makes New York the first major city in the country to unilaterally divest its pension funds from fossil fuels. The lawsuit, which targets BP, Chevron, ConocoPhillips, ExxonMobil and Royal Dutch Shell, is also unique. Both were inspired in part by the devastating effects that Hurricane Sandy has had on the city’s infrastructure as well as the billions of dollars worth of improvements necessary to curb the impacts of climate change. 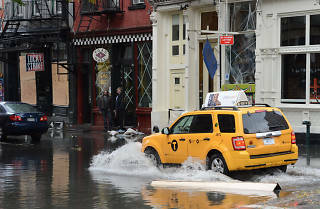 The city has already invested in a $20 billion program to help fortify its neighborhoods and waterfronts from the worst impacts of climate change, but some experts say that isn’t even close to enough. A report put out by the RPA last fall identified $28 billion worth of needs that were not yet funded. 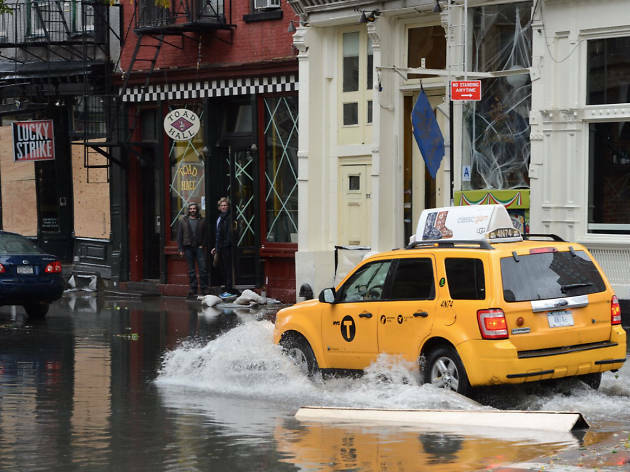 From restoring wetlands to building new seawalls to retrofitting outdated infrastructure, a comprehensive plan to curb the effects of climate change on the entire New York metropolitan area is long overdue. De Blasio’s move this week by no means fills that void, but it is being touted as a step in the right direction. Whether or not those companies end up being held accountable as a result of the lawsuit remains to be seen. What is clear, however, is that New York’s infrastructure needs a lot of improvement to keep the city from turning into a modern-day Atlantis. Sign up to receive great Time Out deals in your inbox each day.